I've jumped ship several times and spent a lot of time in several other sequencers from LSP to HLS and nutcracker. All have their pros and cons but for me LOR is still where I do the root of all my sequencing. I have not been shy in the past about crashes, or show lag, or memory leaks or any other issues I’ve had with LOR that is for sure lol. While I have no idea what LOR has planned I can offer how I personally have managed large channel counts for the last couple years using LOR. While some of the things many of us have done seem like work arounds (and frankly are) I’ve been looking at them lately more like plugins than workarounds. (it makes me feel better) If you want to run crazy effects in video or photo editing software you need plugins so in my eyes there is no difference for those of us with large channel counts we need "plugins" to. While I wish those features or "plugins" were part of the original software package the reality is most great plugins are designed by 3rd parties anyway. 2: Use vegomatic to add channels to your sequences. Right clicking and adding universes manually then converting them to rgb is painful and will make you want to punch your pc screen. Let vego do it for you. First export your current channel config from LOR. 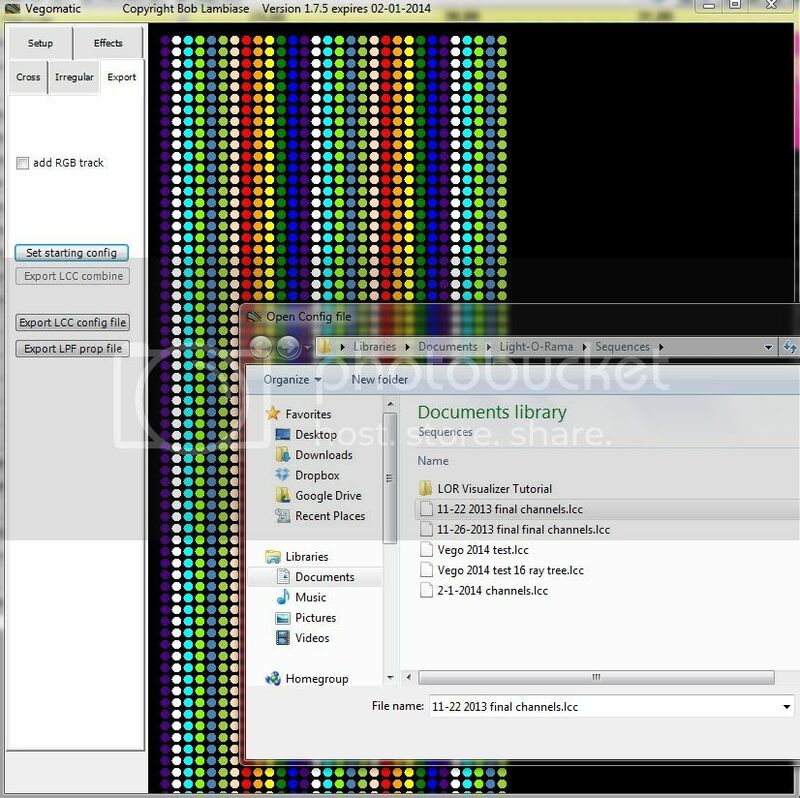 Then open vego and tell it how many RGB channels and how you want them sorted by universe etc. Then click the export tab in vego and click "set starting config" this will be your original channel layout you exported from LOR. Lastly click "export LCC combine" and now there is a channel config .LCC file created with all your old LOR channels and all your new RGB channels already grouped named and converted to RGB. This entire process can literally be faster than adding and converting just one single universe to RGB within the LOR sequence editor manually. 3: Organize your groups. Put groups of elements inside large groups. A mega tree for example may have each string in a group so now put all those groups in one large group called Mega tree. Use keyboard shortcuts to expand and collapse the groups. SHIFT click on the groups + or - will open both the main group and all groups with in it. This works for collapsing groups as well. CTRL SHIFT click on the groups + or - will expand all individual RGB channels within a group. 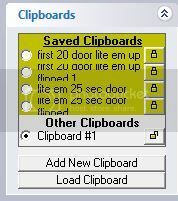 :If there are any files open on the clipboard right click and remove them before saving. You are saving those clipboard files along with your sequence and if they came from nutcracker they are beats. : Turn off auto undo recording or in the latest release of LOR 3.11.2 at least minimize the amount of undo actions you are using. This will also improve response time of the sequence editor. I turn mine off as soon as I open the sequence editor. : Also in the latest release of LOR 3.11.2 you can now disable the sequence editor creating a compressed sequence on each and every save. 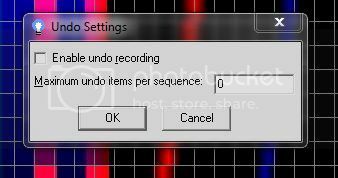 The only time you will ever need those compressed sequences is before you run your show. Turn this off via the Export Compressed option in the Saving Preferences menu during the year while sequencing and before show time turn it back on and resave each sequence to create those compressed sequence for show playback. :Per the LOR Whats new page in 3.11.2 "
When the Sequence Editor saves a sequence, it actually saves it to a temporary file first, and then attempts to reload that temporary file. Only if the load is successful will it actually overwrite the existing "real" sequence file with the newly saved temporary one. This is intended to minimize the potential for a save where something went wrong to cause the user to lose a good (earlier) save. This behavior is now optional, via the Verify Load option in the Saving Preferences menu. It is still recommended to have this behavior enabled, but if you work with very large sequences that take significant amounts of time to load and save, and are willing to take the risk of a corrupted save overwriting your previous good save file, you might want to turn it off in order to speed up saving." This will speed things up a lot and for me I rarely name a sequence the same thing more than once anyway so I'm not worried about overwriting a good save with a corrupt one. For example Wizards in Winter 1, Wizards in Winter 2, etc. I won’t go into too much detail here as I don’t think this has gained that much popularity do to the initial price investment. However SS can be a huge benefit for you show. There is a limit on channels and because of this many users shy away from SS IMHO but even with a small SS license you can make it work for you. The resent addition of DMX keywords in SS has opened up a door for DMX and DIY users to get more bang for their buck. 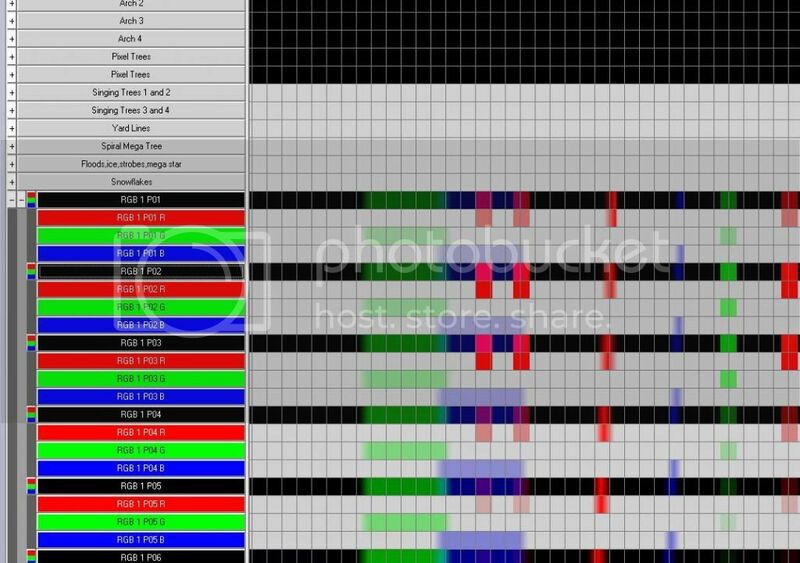 You can draw your pixels in the visualizer and map them with keywords that only SS uses to create DMX sequences. Keep in mind this renders the viz file you crated useless for anything other than SS so dont go adding keywords to your already done viz files you will destroy them, create new ones for SS use only. This will allow you to add the morphs across your display etc. 6: Using nutcracker with LOR. Stop creating clipboard files from nutcracker and bringing them into LOR. This is the most taxing way to add nutcracker effects to your sequences and you will almost always forget to remove the clipboard files prior to saving the sequence making save time longer than it needs to be. I did it this way forever and was constantly frustrated with crashes and memory errors and long save times. 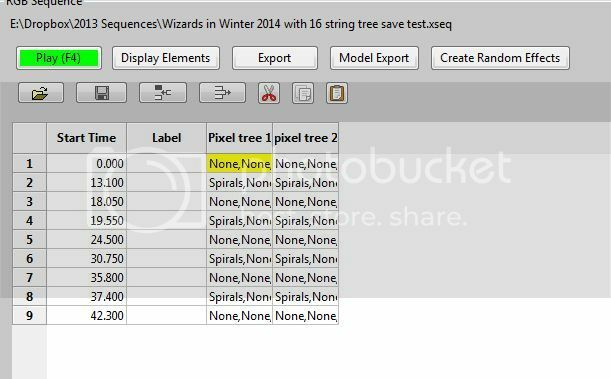 The ideal way to add nutcracker effects is to complete your initial sequencing in LOR and then convert that LMS file to an xlights file. Open your newly created xlights sequence and add what you want in nutcracker. If your channel setup page is done correctly in xlights this will be a breeze. Of course you can add timings via audacity or use the ones Sean has provided in the xlights install directory or you can do like I do and have the original LOR sequence open on one screen and nutcracker open on another. Say in LOR my house is blue at 13.1 seconds in and I want me pixel trees to start spinning blue at 13.1 seconds in. 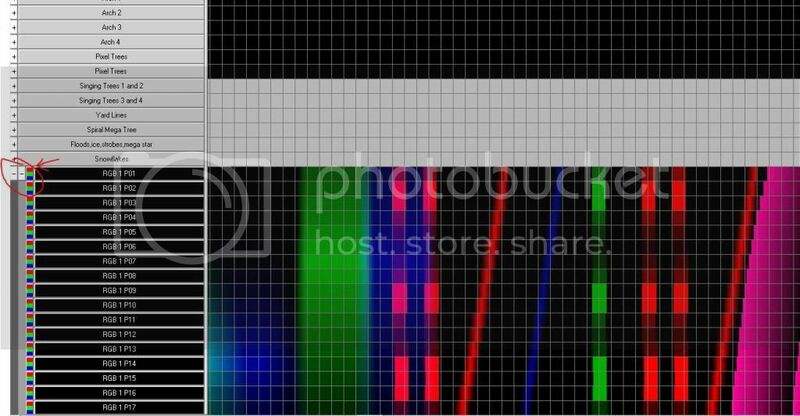 I create a timing mark at 13.1 seconds pick blue and add the effect. Moving on to the next change in my LOR sequence etc. Inside nutcracker you can define your elements and add effects at any part of the sequence without overwriting what was already done in LOR. To do this when you have an element selected like a mega pixel tree you would just select “none” as the effect. Selecting none keeps the original sequencing from LOR intact. 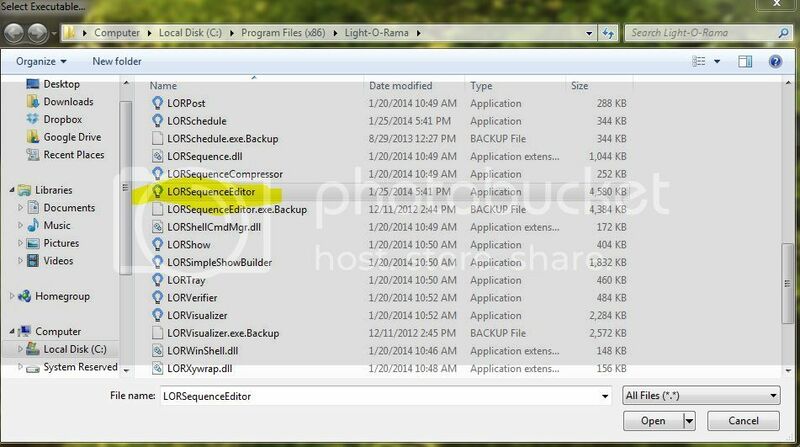 You could just save the seq file and schedule your shows with xlights. After all those that remember xlights was originally just a show player/scheduler to begin with and it plays shows back flawlessly. You can draw your shows elements in the preview tab and playback your LOR sequences whole once inside nutcracker without fixture limits. File size is a fraction of the size inside xlights VS an LMS file. You would never have to go back and create compressed sequences for the LOR scheduler show player. The preview window is amazing at rgb but very limited with AC controllers. Making minor changes can be cumbersome. Every year I find a snowflake I fat fingerd and turned on when it wasn’t supposed to or something similar. There is no grid in xlights to simply open that sequence and turn said snowflake off. You would have to open the original LMS file, turn it off then convert to xlights again and add your effects. Or export from xlights to LOR and turn it off. Either way small changes are a pain. If I could request anything from LOR it would be the fixture limit of the visualizer lifted and show playback lag researched and fixed. I have no idea if a 64bit version would be the solution on those issues but those would be my #1 priority for 2014. Anyway those are my 6 tips to get the most performance out of current 3.11.2 LOR. Hope it helps someone while we are all waiting to see what comes next for LOR! Thank you so much for posting this!! I will be adding 3 San Devices this year and that is a lot of Universes. I also am a big fan of LOR and have SS, but IMO it needs a little improving in the pixel dept with the large displays. Hoping this will happen this year, but I have no plans to switch. Thanks again for the post!! "You would have to open the original LMS file, turn it off then convert to xlights again and add your effects. " Once you have created a nutcracker sequence you do NOT need to readd effects if you modify the LOR lms file. just open the LOR files (using second option of opem). Your latest LOR lms changes will overlay the original and will leave all nutcracker effects alone. 1) Create LOR lms and convert to xseq in xlights. 2) Open xseq and add nutcracker effects. 4) Open the lms file using second option of Open. All of your nutcracker work is still there, LOR stuff has been updated. Harrison, I have a couple of questions for using Vegomatic to add RGB channels to Sequence editor. #1 - I am using 39 strings of 50 Pixels to create a Megatree, I was planning on using 3 strings per universe for a total of 13 universes. Is there a way in Vegomatic to number the pixels for lets say the first universe, first string starting at bottom with numbers 1 through 50 then for the second string 51 at the top down to 100 at the bottom and then back up on string 3 with 101 at the bottom and 150 at the top? then continue that format around the tree with each of the other universes or do I need to reorganize it once it is imported to the sequence editor. #2 - I notice when I export the .LCC from Vegomatic and then open it in Sequence editor that there is 2 new tracks, the first one is named Marquee and is set up as RGB groups. the second one is named what I named it in Vegomatic but is setup with each color seperated into all the red columns then the green and finally the blue. Is there a way to keep it organized as RGB and name it what I want, along with naming each channel? 1: I would make each universe 150 pixels in vego. Then in the sequencer editor you could group each of the strings however you wanted to. That way vego spits out the correct channels already converted to Rgb for ya. 2: Look at the pic I posted above of vego, there is a check box on the export tab. That is whats creating that 2nd track. Just uncheck it before you export and it will not create that second track on export. Harrison, I am using 150 pixels per universe but the problem I am having is that the channel count is always starting at the bottom for all three strings of the universe. For instance if I only create one universe in Vego with 3 strings at 50 pixels each, I tell Vego that the controller is at the bottom left. I export that .LCC then when I open it in LOR, all of the channels start at the bottom instead of string 2 starting 51 at the top. Last year I created a 12 string 600 pixel matrix and for all of the second strings of each universe I had to manually rearrange the channels to start at the top. Thanks for the 6 tips! Yes there is an easier way IMHO. Vego (to my knowledge) will not put channels in descending order. However you can reverse strings at the controller level or in superstar or in nutcracker. If you are manually sequencing a matrix or tree in the LOR sequence editor and are concerned with copy paste and keeping things going the correct direction you can use bobos clipboard flipper and just flip the sequencing VS flipping the channels. Found something for using the visualizer with a large sequence. Mind you, my sequences are not as big as Andy's.For a 146 mb sequence, I played it in the vis and lots of lag. I used a 4 gb thumbdrive and configured it for "Readyboost". The playback still had a smidge of lag, but was much better than without. Since I will have Xlights run my show and will NOT have LOR run my show, do I need to run the patch? I have over 550 AC LOR channels on 40+ LOR controllers in my show. These will be run in DMX mode on two separate DMX universes since I can only run a maximum of 512 channels per universe. This requires 2 separate Xdongles on two separate USB ports. Last year I ran 8800 pixel channels using E.131. Xlights ran this perfectly without any 'patch'. This year I am going to more than double that. Initial plans are 48 strips of 150 pixels/strip. I do NOT configure any pixels in my LOR channel configuration. I do not run Super Star. (Should I?) Strictly LOR channels and a very few RGB floods. LOR does NOT 'know' about my pixels. I use nutcracker to do ALL my pixel programming and will use Xlights to run everything. Is it necessary to run this patch if LOR is NOT going to run the show? All I use LOR for is to do the sequence editing for the LOR channels. I ran into some trouble last year getting everything to run together perfectly but I feel confident that this year, I have a better understanding of running LOR in DMX mode and having Xlights running everything. Hopefully I'm not forgetting anything. I have over 550 AC LOR channels on 40+ LOR controllers in my show. These will be run in DMX mode on two separate DMX universes since I can only run a maximum of 512 channels per universe. This requires 2 separate X dongles on two separate USB ports. Well right out the gate the patch is mainly for the sequence editor and not for the show player. Its to prevent sequences with very large channel counts from crashing the sequence editor during sequencing. Since the majority of your sequencing will be in Xlights/nutcracker then it really wont do you any good. I just posted about this and am glad I saw your post....I will be taking my wife's monitor..
Great Job Andy as always. Pixel count has doubled from last year and still right at 400 channels of LOR. Just finish placing RGB's on every piece of the Nativity Scene and they all worked first try.I was shocked !!! Going to be a bright year at the house and thanks to all that have helped me. Heading up your way in a week. Cabin on the creek by a golf course. Glad it helped out colonel! Click on play and take some of those check out. Control lights and so on will cause a lag when I play mine back. 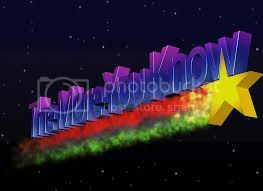 I also noticed when you get into the higher Universe numbers it will lag to. Try not to skip any uni's cause the software will have to write the ones skipped to. The D2 will do 2 universes (one out of each output) so 512 channels per output divided by 16 channels on each PC16 = 32 controllers per output. Or 64 total controllers per D2. I invested in a solid state drive for my show, now a question. Can I just install this drive as an auxiliary drive and load my sequences, video, and show on it. Will this speed everything up, or must I reload Windows and LOR onto the SSD. I don't really want to reinstall windows, all the updates, programs, etc. Denny, the SSD will likely not gain you a huge noticeable difference as majority of the wait time is in processing and loading HUGE XML files into memory. You can definitely install the drive as a secondary and then move all your LOR stuff to it. You can re-install LOR to it as well or just move the LOR files store to it by re-running LORPost.exe from your LOR install program directory. You won't need to re-install windows unless you want to improve windows read performance off the SSD drive.